Nora Ann Fortner Harber, 68, of Covington, Tennessee died on Thursday, March 21, 2019, at Trinity Hospice House in Collierville, Tennessee. 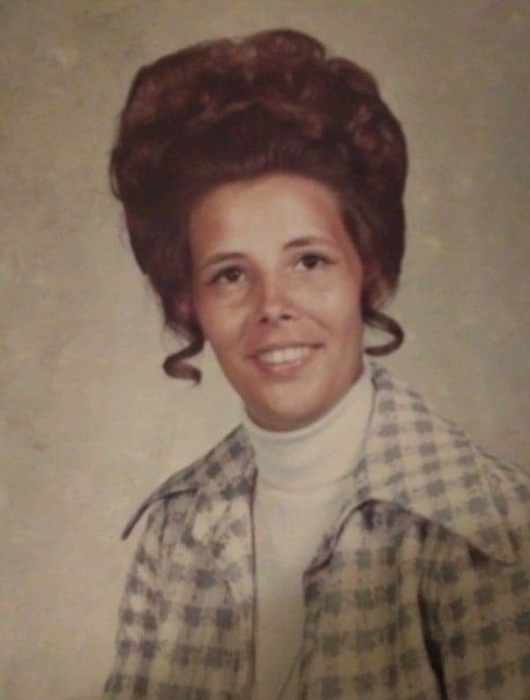 Born Tuesday, December 12, 1950, she was the daughter of the late Edward Doyle Fortner and the late Mae Helen Stevens Fortner.She was a retired employee of Tennessee Electroplating in Ripley, Tennessee. Graveside services for Mrs. Harber will be held at 2:00 PM on Friday, March 29, 2019 at Fairview Cemetery in Dyersburg, Tennessee. Officiating this service will be Pastor Russ Pflaster. Visitation will be Friday from 12:00 PM until 1:30 PM at Johnson-Williams Funeral Home. She is survived by two sons, Jimmy Harber (Windie) of Dyersburg, Tennessee and Nathan Corey Harber (Samantha) of Nashville, Tennessee; two brothers, Charles Edward Fortner (Pat) and Mark Fortner (Peggy) of Dyersburg, Tennessee; two sisters, Cathy Fortner of Virginia and Debbie Middleton (Bud) of Dyersburg, Tennessee; four grand-children, Cheyanne Harber, Christian Walton, Jasmine Harber and Hailey Walton. In addition to her parents she was preceded in death by her husband, John Wayne Holcomb; one daughter, Angela Marie Harber Walton and one brother, Jerry Lynn Fortner. Pallbearers will be Jimmy Harber, Nathan Harber, Dewayne Edward Walls, Jasmine Harber and Christian Harber . Honorary pallbearers will be Adrian Maze and Cheyanne Harber. Online condolences may be made to the family at johnsonwilliamsfuneralhome.com. Johnson-Williams Funeral Home is honored to serve the family of Nora Ann Fortner Harber.